2015 is coming to a close and a fresh New Year is right around the corner. For many, the New Year means a new beginning – a clean slate to get your weight loss goals, muscle building goals, whatever your goals may be, getting them in-line and ready to accomplish. But, why wait for 2016? Who says you can’t start now? 60 Day Revolution is a complete training guide to helping you achieve your health and fitness goals. Not only does this program include everything you’ll ever need in a program again, but 60 Day Revolution also comes with the motivation you need to KEEP YOU ON TRACK. An exclusive Facebook group just for Revolutionaries (aka participants of the 60 Day Revolution program) with over 1,400 members, provides daily support and camaraderie, along with progress pictures, workout challenges, and so much more. To get you ahead on your 2016 goals while we’re still in 2015, we’ve created a New Year’s Revolution Guide that will get your goals well on their way. Once you start to see results, it will keep you hungry for more. 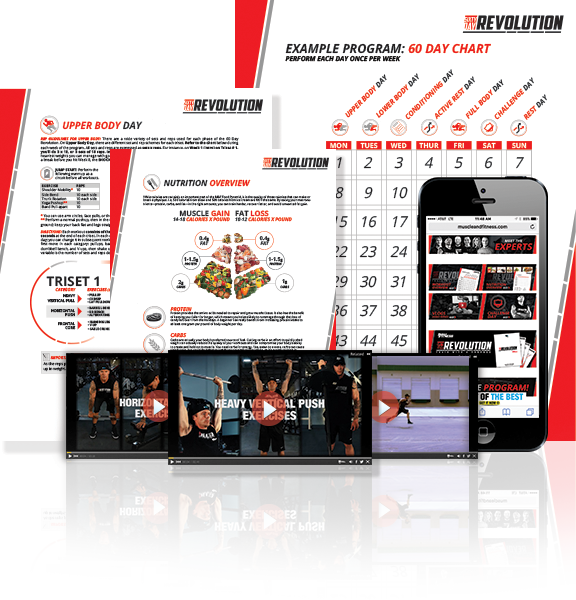 The 60 Day Revolution program provides you with 6 days of workouts each week and 1 rest day. With multiple variations of exercises to choose from, you can tailor your workouts to the equipment you have available as well as pick-and-choose to your preferences. Throughout the program, each week, you’ll go through Upper Body Day, Lower Body Day, Conditioning Day, Active Rest Day, Full Body Day, and a Challenge Day. YOUR RESULTS ARE ONLY 60 DAYS AWAY The 60 Day Revolution Program was designed by leading fitness experts to get you results fast! WHAT CAN I EXPECT? IF THE PROGRAM IS SO GREAT, WHY IS IT FREE? The reason is simple, and it’s all about PAYING IT FORWARD. Our goal is to help the world find health, fitness and happiness, one person at a time. So, this program is absolutely FREE, and the only thing that we ask is that you PAY IT FORWARD and share it with someone you know that wants to change their life. It’s a well known fact that nutrition can be one of the hardest aspects to maintain when looking to achieve your dream physique. With temptations nearly everywhere you look, especially around the holiday season, we wanted to provide a simplified 1-day meal plan filled with good macro and micronutrients to get you started. To calculate the macros for your body, please reference the FULL 60 Day Revolution program’s nutrition calculator. This below SAMPLE MEAL PLAN is based off of a 1700 calorie diet (212 grams protein / 127.5 grams carbs / 38 grams fats). The only thing better than seeing results, is seeing results even faster! Adding a few key supplements to your training and diet regimen can expedite your progress and get you that much closer to your fitness goals. What are you waiting for? 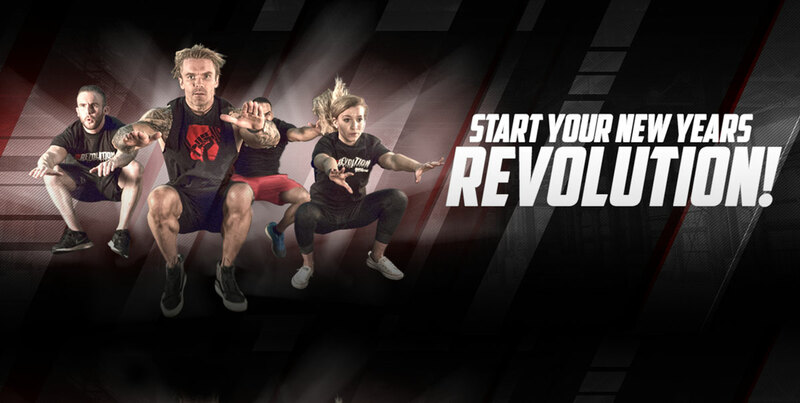 Get started on your New Year’s Revolution NOW! Creatine is a nutrient that occurs naturally in the body and in some foods. It functions as an energy source in your muscle cells, helping improve muscular output and reduce fatigue during rigorous physical exertion. BEST CREATINE™ makes supplementing with creatine effortless by combining several forms of creatine to help you build more strength and increase lean muscle. Protein provides your body and muscles with fuel for lean muscle building and post exercise recovery. Proper protein intake is vital for any muscle building or weight loss program. 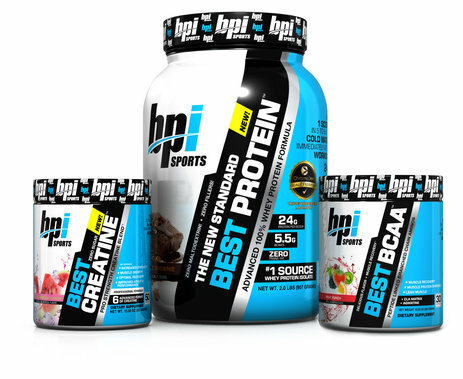 BEST PROTEIN™ is the perfect blend of high quality 100% whey proteins without any fillers or maltodextrin, a food additive; just 24 grams per scoop of high quality whey protein designed to support strength and lean muscle mass. Not to mention it tastes amazing! BEST BCAA™ supports the decrease of protein catabolism, or breakdown of protein, for preserving lean muscle mass and reducing soreness after a workout. The Oligopeptide-Enzymatic Technology takes the 3 amino acids, concentrates them, and bonds them together to maximize muscle recovery, lean muscle building, and enhanced onset time (which means it kicks in faster! ).